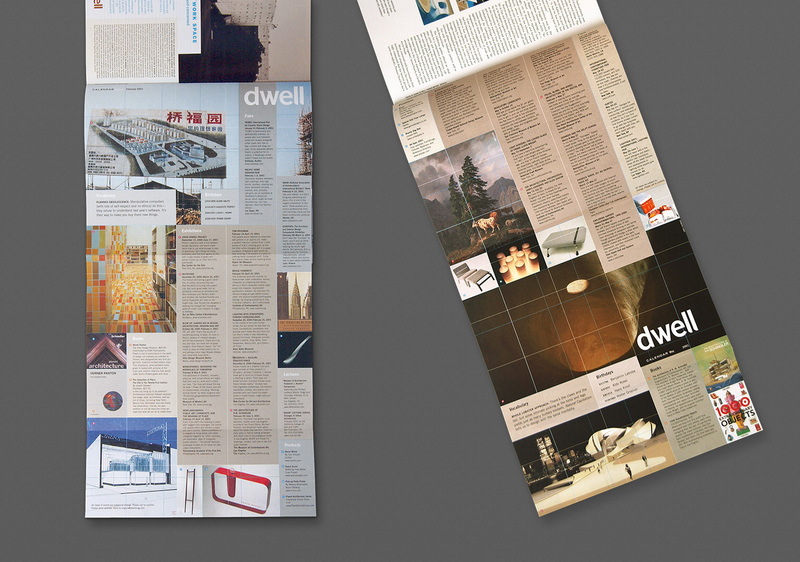 Dwell’s Calendar section was originally a folding pull-out “poster”. 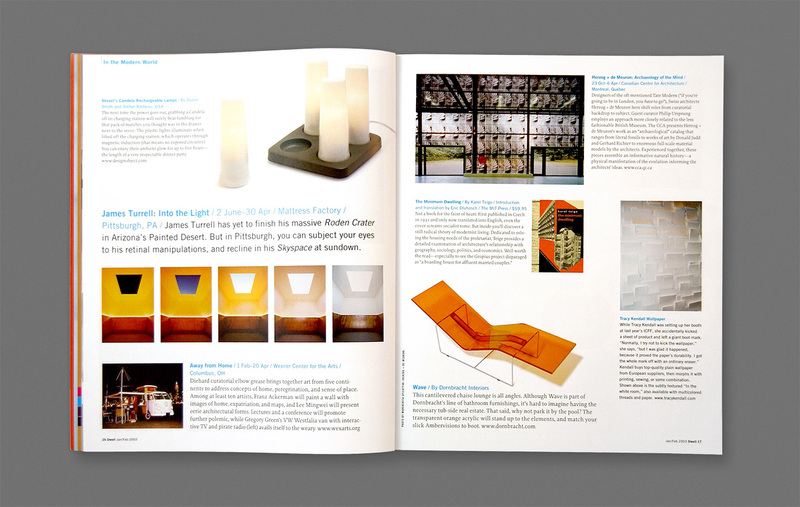 It included events, product and book reviews, and definitions. 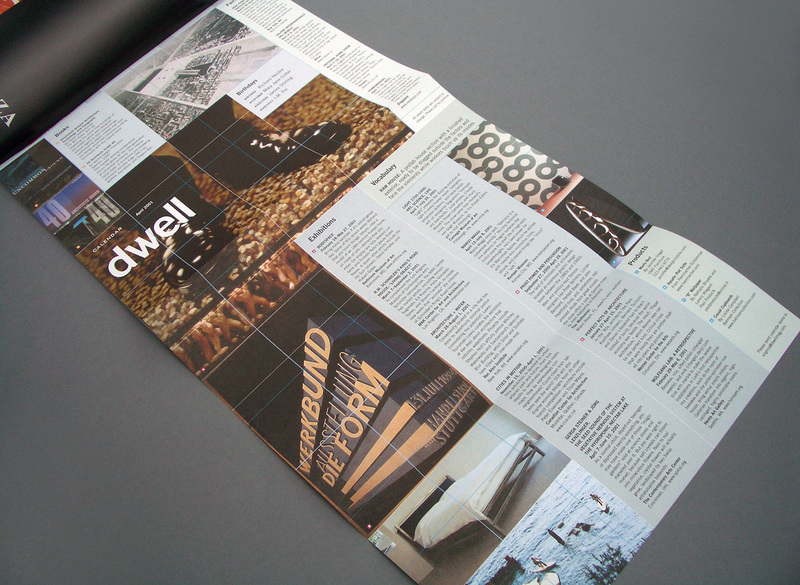 The Editor-in-Chief, Karrie Jacobs, wanted it to look like “controlled chaos” so there is a separate grid and rules for each type of info, and they all intersect. 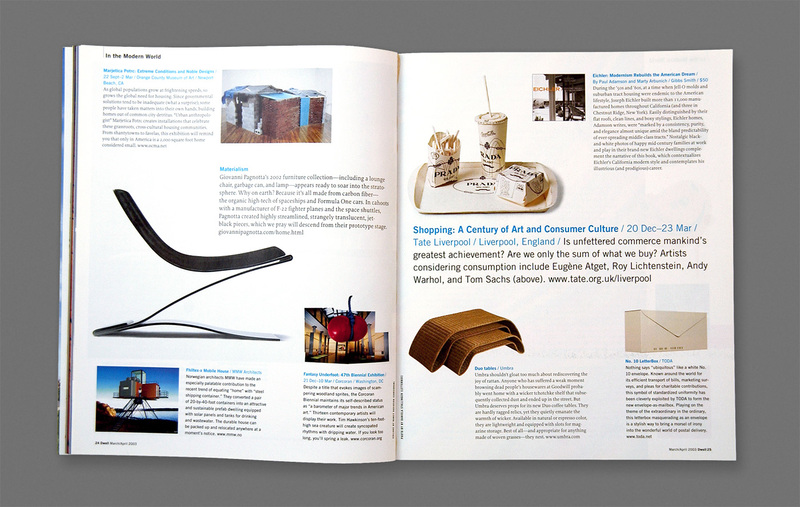 The last image is the design when the calendar was brought into the regular pages of the magazine.